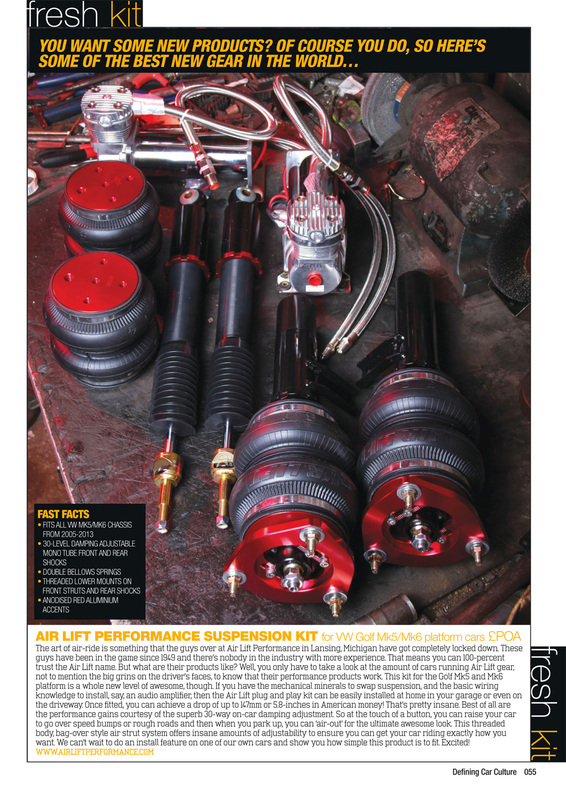 It’s great to see Air Lift products featured worldwide especially with so many UK-built show cars running our air suspension systems. Check out a little preview of the Air Lit setup featured in ‘Fresh Kit’ below and make sure you either grab a copy or download it digitally to your iPhone or iPad. 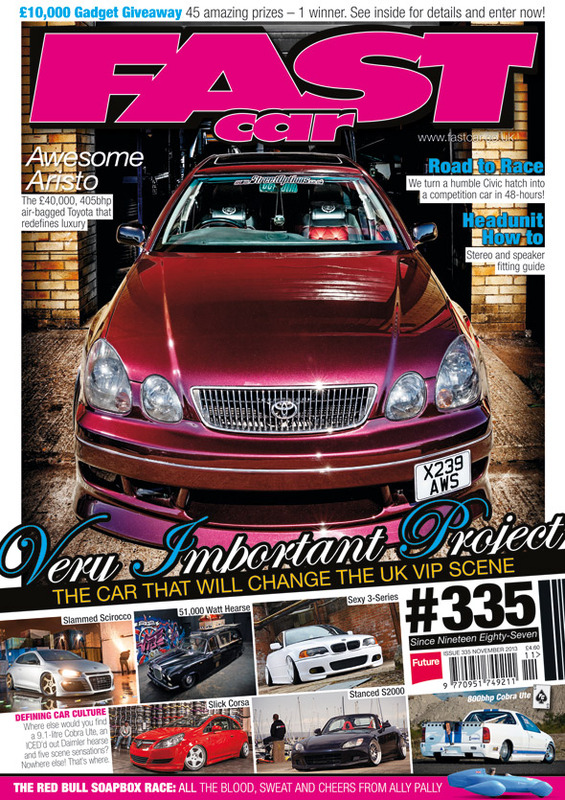 If you’re a tuning fan in the UK you’ll already know that Fast Car is THE magazine to buy for all the coolest modified cars and best products each month. So when we picked up the October 2013 issue (available to download from iTunes here) we were mega excited to see a full page on our VW Mk5/Mk6 Threaded Body Performance Kit, paying particular attention to the exceptional build quality and ease of fitting each kit provides! More information on our Mk5/Mk6 Threaded Body Performance Kit.